Adecco Poland Sp. z o. o. is a part of Adecco Group – the world's leading provider of HR solutions, with more than 33,000 FTE employees and a network of 5,600 branches, in over 60 countries and territories around the world. We have been present in Poland since 1994. We have opened offices in nearly 30 cities across the country. 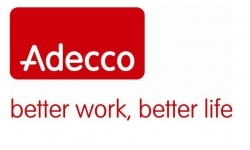 Adecco Poland is Employment Agency (Certificate No. 364). For our Client we are looking for a candidate for the position of: Technical Support Analyst with French or German Place of work: Sofia, Bulgaria Reference number: TSA/B/11/2014 Job description: Resolving issues which can be resolved by the Service Desk and perform a Log and Dispatch role for the remaining service requests Responsibilities: •	Answering phone contacts promptly and professionally •	Identifying and resolving customers’ request or incident using the relevant knowledge base tools and other technical resources •	Participating in team meetings and feedback sessions with Quality Assessment Team •	Presenting a positive, effective and flexible contribution to achieving team targets and objectives •	Protecting confidential information and materials •	Collaborating with other team members Requirements: •	Fluency in English, and excellent communication skills in German or French •	Experience in Windows XP and Vista (i.e. advanced user), MS Office (mostly MS Outlook) •	General knowledge of PC hardware and most common software •	Customer orientated, enthusiastic and motivated to take charge of problem resolution •	Autonomous team player keen to learn new things •	Analytical trouble-managing skills We offer: •	Employment contract in accordance with the Bulgarian Labour Law •	One-month paid initial training •	Accommodation (first month for free) •	Relocation package one way ticket to Bulgaria •	Additional benefits: meal vouchers, additional health insurance Applications: If you are interested in this position please send us your CV in English and Polish with Reference Number: TSA/B/11/2014 Please include detailed information about your responsibilities on the previous positions. justyna.rybacka@adecco.com Thank you for your interest in the offer and application. We kindly inform that we will contact the selected candidates only. In your application please include the following statement: "I hereby give consent for my personal data included in my offer to be processed for the purposes of recruitment, in accordance with the Personal Data Protection Act dated 29.08.1997 (uniform text: Journal of Laws of the Republic of Poland 2002 No 101, item 926 with further amendments)" The offer concerning work abroad.